Most of you will have known Jim McAllister as an Irish republican and political spokesperson from South Armagh. It is appropriate for me to use a few words of Irish as Jim was a Gaeilgeoir and loved his language and his culture as well as his country.It is a difficult task for me to speak about such a great man. Jim wasn’t a big man in stature but he was a great man in heart and mind. As well as being a gaeilgeoir and a politician he was a father and a husband, he was a craftsman with many skills. He was self educated in Irish History and politics and he was well read in the folklore and legend of Ulster and Ireland. Indeed Jim might say that it can be hard to distinguish nowadays between the history and the folklore or more recent times. Jim was also a songwriter and a poet. One of the best things of all about Jim was that he could tell a great yarn, he had humour and wit and he was mighty crack to be with. I am proud to speak about Jim today for his family Turlough, Aoibhinn and Brendan. GaeilgeoirJim was a gaeilgeoir and enjoyed speaking his native language. He and I had many a good crack in Irish and the Irish would be better after a couple of pints. Cuireann an ol leis an cainte. FamilyYou would wonder how Jim managed to have a life outside of all that he did as a political activist. Indeed Jim had a beloved wife Margaret and they had their 3 children, Turlough, Aoibhinn and Brendan before her untimely death 21 years ago. Jim knew the importance of his family and acknowledged that he wouldn’t have been able to be a political activist without the support of his wife in the early years and his children in later years. Last DiscussionOne of my last discussions with Jim was only a few days before he died. We were communicating by email which was easier that the phone because Jim’s voice was weak. Official secret memos contained in the archives of the deceased former British Prime Minister reveal that she was told that “some” in the IRA wanted its campaign to stop, and held political ambitions instead. The revelation in her papers on the 1981 hunger strikes has raised a fresh controversy over the decisions taken by the republican leadership at the time.In a message sent to Mrs Thatcher on July 6th, at a delicate stage in the hunger strike, the then British Direct Ruler in the north of Ireland confirmed that there were “some” in the IRA leadership who wished “to consider an end of the current terrorist campaign”. According to the papers, discussions at the time included a potential offer from the British government to settle the hunger strikes in the first week of July, following the deaths of four of the prisoners. However the negotiations failed to secure a deal in time to save the life of the fifth hunger striker to die, IRA Volunteer Joe McDonnell, after which contacts ended. The protest went on to claim the lives of another five prisoners. At the height of the protest, a memo from the then British cabinet secretary Robert Armstrong stated: “There is reason to believe that the PIRA have been thinking seriously about an end to the campaign of violence, but feel they need a success, an avenue to pursue their aims politically, and something more on the prison regime. The release of the memos has renewed claims that a British proposal on prison conditions should have saved the lives of at least five of the hunger strikers. 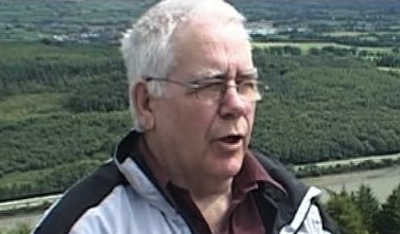 Those claims chiefly by republican author Richard O’Rawe remain strongly contested, most notably by Danny Morrison, who served as a spokesperson for the prisoners before becoming Sinn Fein press officer.While the documents suggest the British believed that an offer of a deal could have been useful to the more politically-minded republican leaders, O’Rawe and others have controversially claimed an offer was rejected by the Sinn Fein leadership in Belfast so that the hunger strike would continue. 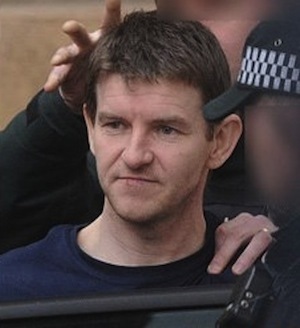 The status of the alleged British offer remains the subject of debate and dispute, and it remains unclear if any formal proposal was accepted by the prisoners, as O’Rawe claims. The hunger strike took place at a time when republicans such as Daithi O Conaill and Ruairi O Bradaigh, viewed as being more militarist, appeared to be in the ascendant within the broad movement although they were under pressure from northern republicans led by Mr Adams, Mr Morrison and the Sinn Fein Deputy First Minister Martin McGuinness. 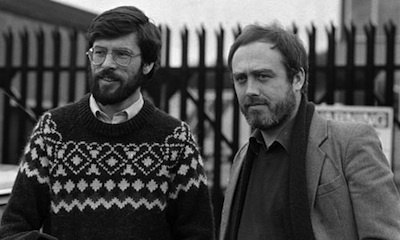 It is widely accepted that the hunger strikes created the conditions for Sinn Fein to expand politically, and boosted support for the Belfast-based leaders. It wasn’t until two years later that the northern leadership of Gerry Adams and Martin McGuinness fully took over the (Provisional) republican movement. This month’s Sinn Fein ardfheis marked Mr Adams’s 30th year as Sinn Fein president. Anne McDaid said two approaches had been made to her son Gary McDaid since he was arrested in March. Since his arrest he has been held in Maghaberry Prison’s Bann House, which accommodates non-political prisoners. “It’s hard to know who is doing this. He says it’s not the police,” Mrs McDaid said, suggesting British military intelligence (MI5) was at work.“The pressure is terrible and is driving him out of his mind. “He just sits there all day and doesn’t know when they are going to come for him. “He is in his cell 24 hours a day and I am fearful for his mental and physical health. On Sunday, a prisoner in the same area of the jail died in a suspected suicide.Mr McDaid’s requests to be transferred to the jail’s republican Roe Four wing have been turned down. 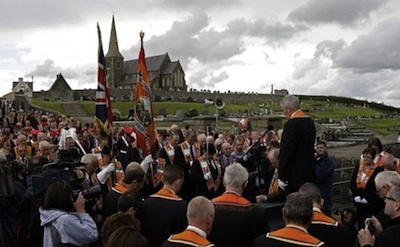 It has been suggested that Mr McDaid’s safety might be at risk if he was moved to the jail’s republican wing. Derry assembly member Raymond McCartney, himself a former republican prisoner, met Mr McDaid and republican prisoners last week. “I am wholly satisfied that there is no threat to the safety of Gary McDaid and therefore he should be moved to Roe House immediately,” he said. Meanwhile, a human rights group has called for clarity on the status of MI5 within the north’s prison system.A Committee on the Administration of Justice (CAJ) report found that although prisons are managed by justice minister David Ford, all matters designated as “national security”, including MI5 activity, fall under the control of British Direct Ruler Theresa Villiers. Such matters also includes the management of political prisoners as well as surveillance and intelligence gathering inside prisons. The report says all applications to join the republican wing at Maghaberry Prison are considered by Britain’s Northern Ireland Office (NIO). In addition, it claims that when staff in prisons are engaged in “national security” matters, they are only accountable to the British government. CAJ director Brian Gormally said there needed to be more accountability. “The point is if a case raises credible evidence of improper pressure being put on someone to become an informer, then there is an issue as to who is in charge here, which presumably is MI5 at some level, or the NIO are getting evidence from MI5,” he said. The acquittal in the non-jury case came after the Court of Appeal had quashed guilty verdicts at Mr Shivers’s original trial. It means both of the prosecutions in the aftermath of the ‘Real IRA’ Massereene attack of 2009 have failed to secure a conviction. Mr Shivers was originally tried in a non-jury case at Antrim Crown Court alongside high-profile republican Colin Duffy. Mr Duffy was acquitted of all charges at the original trial. At both trials, the prosecution case against Mr Shivers was based on DNA evidence on matchsticks and a mobile phone discovered in and around the partially burned-out getaway vehicle used in the shooting. However, Mr Justice Deeny noted a number of mistakes in how the forensic exhibits had been collected and that there had been different interpretations of the DNA evidence presented. The head of Mr Shivers’ legal team referred to other acquittals in the north involving DNA evidence, and strongly criticised the prosecution services. 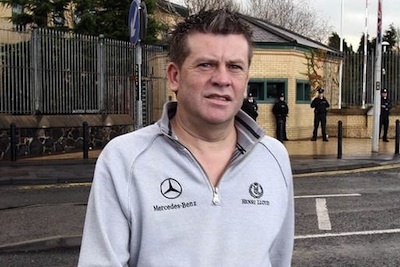 Standing beside Mr Shivers at the gates of the Laganside court complex, Niall Murphy said the original convictions had been overturned on a “narrow legal basis”. “But it was only during his retrial that important new material was disclosed which completely undermined the case against him,” Mr Murphy said. “This failed prosecution - another failed prosecution - is a cautionary tale against the reliance upon tenuous scientific evidence in high-profile criminal cases.”Mr Murphy also said his client had not received appropriate medical care during the year he spent in side Maghaberry prison in County Antrim following his original convictions. “He was sentenced to a life term of imprisonment which would have seen him die in prison,” he said. CRAIGAVON TWO LAWYERS SEEK CCRC ROLEWith public attention once again focused on the actions of Crown prosecutors in the North, all eyes are now on the pending appeal by two men, Brendan McConville and John Paul Wootton, against their conviction for a Continuity IRA attack in Craigavon. That attack took place two days after the Massereene ambush and both cases were brought amid draconian attempts to secure convictions. Lawyers for the men known as the ‘Craigavon Two’ are seeking an order for the Criminal Cases Review Commission to examine the PSNI arrest and intimidation of a new witness in the case. They are also making a separate application to the Police Ombudsman to look into the operation. Last week Appeal Court judges were told the PSNI had tried to sabotage the appeals with the arrest of the new witness -- who was held and interrogated for two days -- and the inevitable legal tussle over his evidence. This man has made a sworn court statement branding his relative a compulsive liar. The PSNI arrested him in an evident bid to force him to withdrawing his evidence, warning him he would be discredited if he testified. Lawyers for the two men now want the Court of Appeal to direct the Criminal Cases Review Commission (CCRC) to examine these events. Judges listed their application for a hearing next Wednesday.